In case you were in any way disillusioned by the lack of Kingdom Hearts news, don't fret. 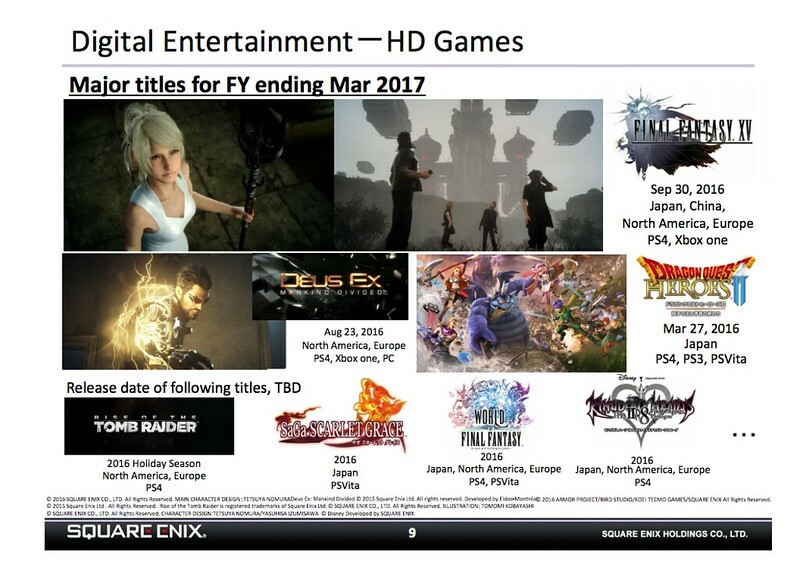 Square Enix has confirmed in their latest finance report that Kingdom Hearts 2.5 HD will be out at some point this year and that goes for Japan, North America, and Europe. Kingdom Hearts 2.8 includes the HD version of Dream Drop Distance, Kingdom Hearts Ï‡ Back Cover and Kingdom Hearts 0.2 Birth By Sleep A Fragmentary Passage. Granted we still haven't had much in terms of information, but hopefully we'll be getting more information at E3 2016 which will be happening mid June. We'll keep you posted on Kingdom Hearts 2.8 in the coming months, but for now, just sit back, relax and enjoy some Kingdom Hearts Unchained Ï‡.